Grandmaster Remy A. PresasBut fate has it that "Arnis" will not forever stay dead because on December 19, 1936, in the fishing town of Hinigaran, Negros Occidental, a boy was born destined to one day reopen the eyes and hearts of the Filipino martial art lovers to their own true martial art, arnis, an art which has its roots sacredly marked since the beginning of Philippine history itself. This boy was Remy Amador Presas. Scion of a middle class family, Remy was born to Jose B. Presas, a businessman and the former Lucia Amador. His father and mother wanted Remy to pursue a career other than sports like business where the family was then comfortably ensconced. But business was not for Remy. Exposed at an early age to sports through his grandfather who was also a lover of sports, Remy developed a special love for the physical art that will one day find him one of its stalwarts. In his youth, the fascination of sports in Remy grew so much as to develop in him the adventurer's itch. Not content with the bucolic atmosphere in Hinigaran, at the age of 14 Remy went to the different cities like Cebu, Panay, Bohol, and Leyte, where he pursued his athletic career. In Cebu, he furthered his study of Arnis under Rodolfo Moncal, and then under Timoteo Marranga and Venancio Bacon. All were Cebuano experts in Arnis, and under them Remy mastered Arnis and the deadly "Balintawak" style of stick fencing. Remy's association with Arnis experts and other renowned athletes in the different parts of the country sharpened his ability in sports. GM Remy A. PresasBy the time he came back to his hometown, Remy was already and expert in Arnis and in other sports like judo, jiu-jitsu, wrestling and karate. After his marriage to Rosemary Pascual, Remy, idealistic and enterprising that he is, then set up a gymnasium in Bacolod, Negros Occidental, and there started the wheels of his obsession to revive the dying martial art of Arnis. With the fervor and determination of a true dedicated sportsman, Remy labored and sacrificed to bring the youth in Bacolod closer to the wealth of their cultural history that they failed to appreciate because of indifference. Encouragingly, he succeeded. In that unpretentious gym he founded, Remy succeeded in drawing the interest of the youth of Bacolod. His followers in Arnis increased by the hundreds. Remy was not only successful in that respect. His business in the city also went well and he was also teaching physical education (with emphasis on Arnis) at De La Salle College, then at the University of Negros Occidental-Recoletos, being a holder of a bachelorâ€™s degree in education major in physical education. Remy was then a very successful man, a success capped by the encouraging outcome of his crusade to revive the lost glory of Arnis. Then in 1968 Remy was confronted with a decision that was to become a turning point in his life. In one of his summer sessions at the Rizal Memorial Sports Arena in Manila, the sports Mecca of the Philippines, Col. Arsenio de Borja, secretary treasurer of the Philippine Amateur Athletic Federation and director of the National College of Physical Education, Mr. Philip Moncerrat, former President of the PAAF, and Professor Jose Gregorio, took notice of Remy. Upon learning of Remyâ€™s crusade, they asked him to further his crusade in Manila, the seat of National influence in any field of activity. In Manila, the interest of the whole country would be drawn, Remy was told. The idea interested Remy, for indeed, Arnis is not only for a region, it is for the whole country and could even be before the whole world. The thought played in Remy's mind like a precious diamond toyed by two cats. The whole thought was crucial and difficult for him. Coming to Manila would mean leaving behind all he has founded in Bacolod. It would mean virtual abandonment of his well-entrenched businesses which could guarantee the future of his family. Besides, it would mean re-establishment of his family which was now well settled in Bacolod. But Remy can not get himself out of the thought of the great opportunity for him to bring his crusade to a wider scope and area of audience. He was tickled with the thought that in Manila, he will not only be able to revive Arnis to national consciousness but he will also have the opportunity to present this lore of Philippine culture to the whole world. Remy believed that if the world accepted judo, wrestling, karate, and kung fu, there would be no reason why Arnis wouldnâ€™t be accepted for Arnis is as effective, if not more effective than all of these other martial arts. It was a gem of an opportunity and Remy took the challenge. Presas FamilyIn 1969, Remy brought his family to Manila. He then established a gymnasium in the heart of Manila's commercial district and founded the National Amateur Karate Organization (NAKO) and Modern Arnis Federation of the Philippines (MAFP). With his gym as his springboard, Remy pursued his crusade to revive Arnis on the wider scale to the hilt. He taught (up the present) in various universities and colleges in Manila emphasizing the basic beauty of Arnis as a martial art. He was also teaching Arnis in his NAKO and MAFP club in Quiapo, Manila. 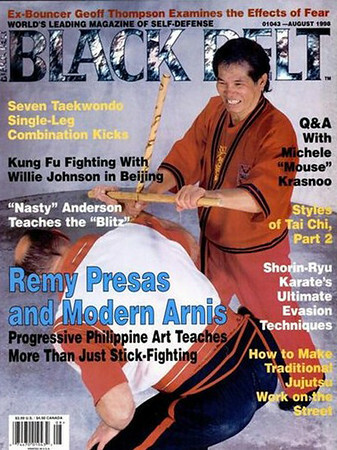 Remy also founded the Modern Arnis Federation of the Philippines. He gave countless exhibitions (for free) with his boys before different audiences and even before tourists. He has even performed before Pres. Ferdinand E. Marcos in Antipolo, Rizal, who, after seeing the exhibition, expressed profound interest in the art. 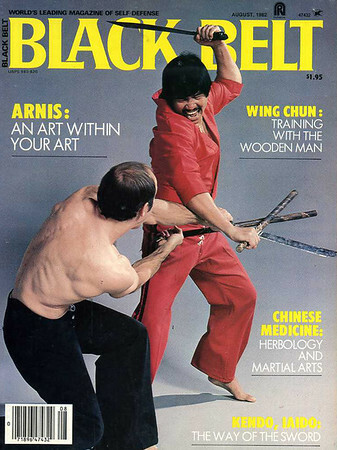 His untiring crusade brought Arnis to the knowledge of every martial art lover. Not only that, Remyâ€™s magnificent achievement brought him honors and respect among the titans in Philippine sports. So enthusiastically was Arnis received that Remy was asked to train the different armed services and police agencies in the Philippines in the martial art of Arnis. Arnis has also become a popular sport engaged in friendly competition between clubs. The popularity of Arnis even transcends Philippine shores that in 1970 Remy was asked to go to Japan and before Itago Police Academy he introduce Arnis. So intrigued and fascinated were the Japanese Police authorities of the art that they exclaimed in admiration of its effectively. Remy's name became a name to reckon with in sports circle. Besides being the founder and president of the MAFP and NAKO, he was elected Vice-President of the Philippine Arnis Association whose president was former Senator Rene Espina, also an Arnis aficionado, He is also a coach in judo, karate, and wrestling. Remy is a sixth Dan Karate Blackbelter and a judo blackbelter. 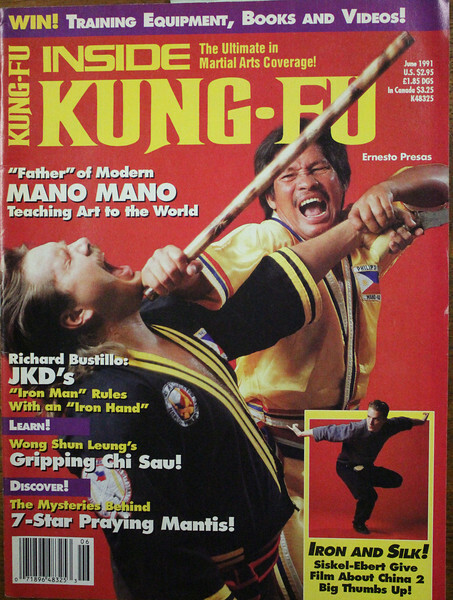 His athletic prowess is known far and wide that several American martial art clubs invited him for a cultural demonstration and not a few American personages who are lovers of martial art asked him to propagate the art of Arnis in America and Canada. These invitations are testimonials of Remy's fame as an athlete. But Remy's dream is more than all these. He wants to make an international sport out of Arnis. He wants the world to know that in the Philippines there is an indigenous martial art that can surpass the martial art they already know. "Few of us may know that a skillful knowledge of the art of Arnis can make one outplay a master of judo, or karate, " Remy would tell his students. That the whole world may know of the art, led Remy to write this book on modern Arnis. Digging deep into his wealth of knowledge after 27 years of research and practice of the art, he decided to publish a book. Collating the early style and techniques of the art with the modern, he prepared a text devoid of primitive linguistics which might not be understood by enthusiasts. Thus this book. Presented in it's modern form in line with modern demands and circumstances, this book will be easy for a learner to understand. Every style and technique is presented in modern form and the terminologies adopted to contemporary language. This book is only the beginning of Remy's magnificent dream. This book will merely serve as a springboard for the ultimate acceptance of the Filipino martial art of Arnis. The crowning glory of this dream, of this crusade, will be when Arnis becomes a commanding sport in every arena of sports competition the world over. The Filipinos have now accepted this gem of their culture. Through the inspired efforts of Remy, the Bureau of Public and Private Schools has now included Arnis in the Physical education curriculum. But this in not enough for Remy. He believes that a good art should be shared by the whole world. This is his ardent dream and when this dream shall have flowered, the world will have to thank not only Remy but also his wonderful wife Rosemary, whose inspiration, perseverance, and priceless assistance made this book possible. Also, their children Mary Jane, Mary Ann, Remy, Jr., Ma. Theresa and Demetrio Jose, whose innocent laughter have lightened the mental load in the awesome preparation of this book. Modern Arnis will go a long way and Modern Arnis is incomplete without bringing into the picture the athlete and the crusader, Remy A. Presas, "The Father of Modern Arnis".